"there Would Be No İnflation Without Food"
›"There would be no inflation without food"
"There would be no inflation without food"
Treasury and Finance Minister Berat Albayrak, "If the food side has no negative and positive effects, if it is the same as December, if food inflation in January is zero but not zero, do you know what inflation would be? The minus would be 0.43. It's doing 18.85 a year," he said. Albayrak said that they started to take short, medium and long-term steps on food inflation. Treasury and Finance Minister Berat Albayrak, Turkey spoke at Exporters Assembly (TIM) Delegates workshop's opening. 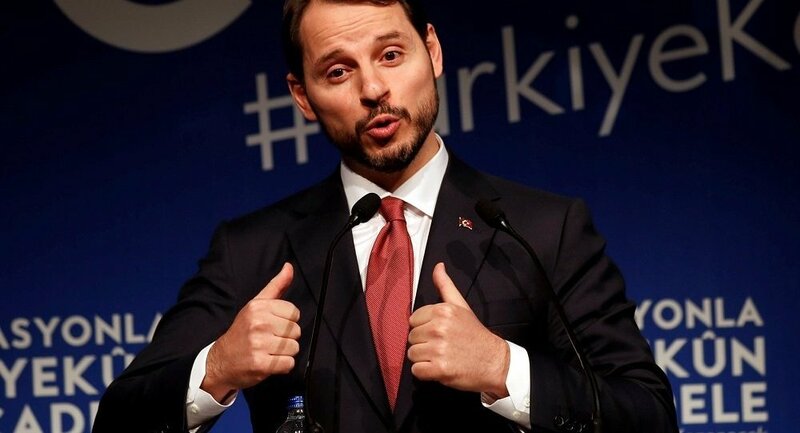 Albayrak, "Turkey, in August and September last year, claiming that the global financial system exposed to very malicious speculative attack, a 2018 experience, knowing the fragility of our economy, our courses and extraction system have left behind as the year to strengthen the immunity level. Tiwite-based economy ... Is it? It is a tweet being taken, it is a tweet being thrown. not only that, the process that took place five months between the two tweet, the effect it creates in the market after the second tweet observe even that Turkey what steps to take, what shows very clearly that the way to begin to strengthen the immune system," he said. Albayrak said that they started to take short, medium and long term steps about food inflation. If I did not have the negative effect of the food side, I expressed this everywhere, the highest single month of the last 20 years came in food, close to 6.5 percent. If there is no negative and positive effect, but the same as December, the food inflation would be zero, if the food inflation in January did not reach 6.5, it would be 0.43.